I didn't intend for this to be a series, but here we are again! We heard of the skimmer problems with DBS ATMs, and the response the bank garnered from customers. Now we're finding out what DBS is going to do about it. 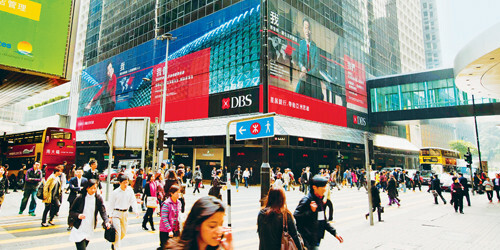 Photo from the DBS 2010 Annual Report. I'll bet their 2011 report will mention losses incurred from this incident. Maybe! If I'm parsing this correct, DBS are implementing an opt-in approach for overseas ATM banking. This would seem to be the opposite of what HSBC does; I handle some finances for my father, and in the case of his HSBC cards he's informed by SMS when overseas transactions occur. I think both serve their purpose, but the opt-in approach would be the most foolproof. Maybe! Hey, I've said that once before here. No wait, twice. Maybe. Ah, crap. Yes, but what about the hardware? Be Observant – If something about the ATM does not seem or ‘feel’ right, then stop your transaction and use another ATM. Do not remove any suspicious devices from the ATM, as it may be under surveillance by fraudsters. I'll be looking out for another followup press release. In the meantime, I'd better check that I've used my POSB ATM card in Sydney since July last year; I'm pretty sure I haven't!